The way that Fairhomes buys the land is the key to our amazingly low prices and therefore the potential profits that can be made. The story of how we buy our land is really the story of the Global Financial Crisis and has its origins in 2006 when real estate prices in the USA were peaking at an all-time high. 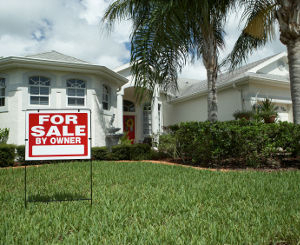 The subsequent subprime mortgage crisis led to a huge number of property defaults and foreclosures for both private individuals and property developers. Individuals lost their homes while developers were unable to get the funds required to continue the development work that they had already started. Many property developers had completed legal planning permission requirements, had divided up land, built roads, sewerage systems, electric and water supplies, but could not get the funds to build the physical houses. It is these developments that Fairhomes has been targeting. The reason Fairhomes is able to offer amazing discounted land prices is due to the way in which we purchase it. As a company, Fairhomes has been buying and investing in property for more than 20 years and we have a great deal of expertise in the acquisition of these distressed assets. This means that we look for property, real estate and land that we can purchase at well below market prices and turn them into profitable investments. These foreclosed properties are a real problem for the banks as it means they have large stocks of real estate that they cannot do anything with. Banks are re-packing these bankrupt property stocks and selling them off at massively discounted prices. A variety of different types of companies are buying these packages including asset management funds and property developers. It is quite difficult to buy these properties individually as the banks are more interested in selling them in bulk. This means there is a high barrier of entry for people who don't have millions of dollars to spend, but want to get access to this very cheap, but high-quality property. Fairhomes likes to do things a little differently and we are looking to help people take advantage of these amazing bargains by offering prime plots of land for as little as $20,000. Because we are very aware of the bad reputation that has been growing, with "land banking" in particular, we wanted to make sure we are giving clients and investors the very best opportunity possible. This is why we are only selling land that already has planning permission. 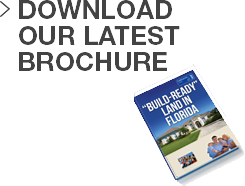 You could buy and start building today! Visit our Land for Sale page for more details of our current offers.